The Telefunken Elektroakustik VF14k vacuum tube is a veritable replacement for U47 and U48 tube microphone systems having an original VF14M tube issued by Telefunken or Neumann manufacturers. 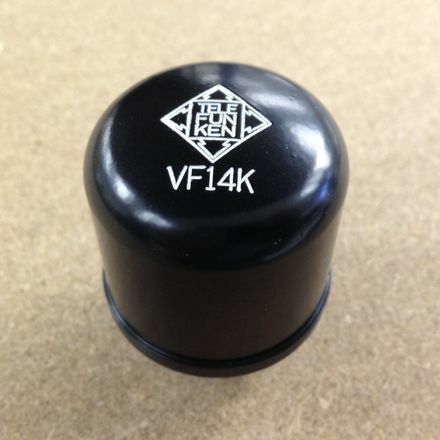 The VF14k vacuum tube operates with the same power supply voltage of 105 volts, installs exactly in the vintage U47/U48's VF14M vacuum tube socket, and requires no modifications or fitting difficulties whatsoever for use either in Telefunken Elektroakustik microphones or those issued by Telefunken or Neumann. In any case, purchasing this product will enable your vintage U47 or U48 to remain active!